Tadalafil is a phosphodiesterase-5 (PDE5) inhibitor very effective at treating erectile dysfunction, pulmonary hypertension, and preventing the progression of benign prostatic hyperplasia. Tadalafil has a longer half life (~18 hours) compared to sildenafil (5 hours). 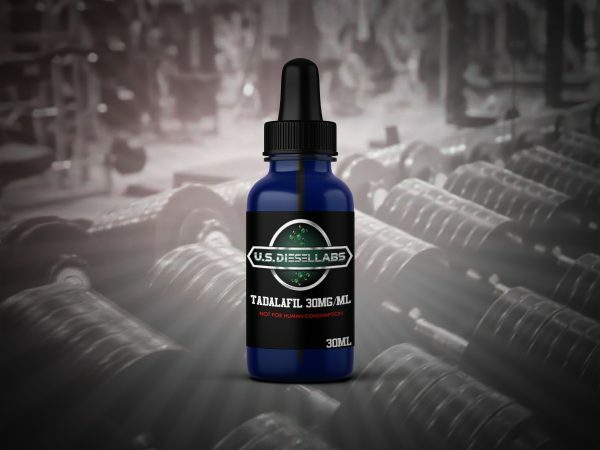 By inhibiting PDE5, Tadalafil mediates the release of nitric oxide stimulating the release of cyclic guanosine monophosphate (cGMP) which leads to smooth muscle relaxation increasing blood flow to the corpus cavernosum (erection). This Tadalafil product is superb. Since purchasing it i wanted to try different dosages to see how i would respond. The first time i tried it i used 1 ml and it was great. It allows you to see your ‘true potential’. Your ‘power levels’ will reach over 9000 (DBZ reference) 🙂 The second time i tried just .5 ml and the third i went as low as .20 ml. I wanted to see how just adding a smaller dose to the ‘gas tank’ would feel like and i am truly happy with the results and quality. I like to take it 30 minutes or so before and i can feel it working. Before purchasing this product i did see some of reviews on another media platform and it was said that this product has been known to ‘save marriages’. I can say i truly understand what that means now. A Happy Wife equals a Happy Life. I Will be purchasing this product again in the future. I’m really grateful that a product like this exists.